All approved creatives will be posted an onboarding kit. Set up your profile, services, working hours and photo gallery to let clients know you’re available to be booked online. Include qualifications & professional social media links for Admin approval only. Self-taught specialists need testimonials. Offer your services from our list or simply add a new expertise to your profile. Manage your schedule. Appointment reminders are sent automatically. Flexible profile settings. Manage your availability by choosing days, hours and work zones. Block time easily. Hit pause when you cannot accept bookings during your working week. Confirm booking requests to enable chat feature with Clients who can upload reference pics. LASHD makes it easy for clients to find and book you. Use your profile name to promote yourself online. Clients can search for specific Creatives. Choose your Clients by area and travel time. The choice is always yours. Clients can see your profile, ratings and portfolio gallery. Manage your details the best way you can. Instantly accept credit card payments. Get payouts directly to your bank account. Built-in cancellation policy applies to both Client & Creative. Charges apply if cancelled within 24hrs of booking. Secure and automated. No more money transfers or banking apps. 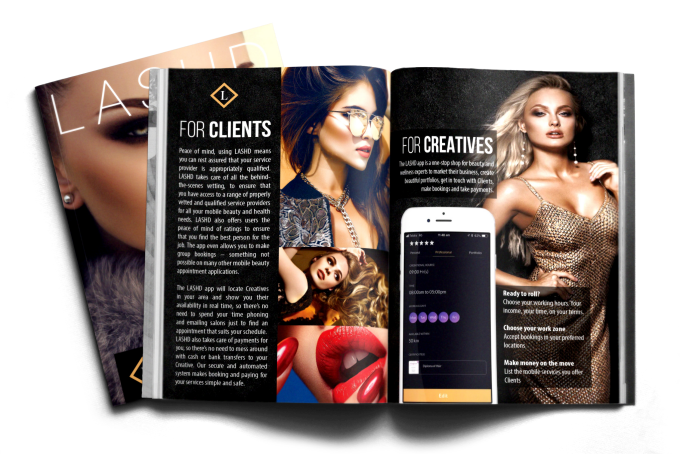 The Lashd app is a one-stop shop for beauty experts to market their business, create beautiful portfolios, get in touch with clients, make bookings and take payments. It will create extra income for wellness experts, stylists and creatives and provide an avenue for beauty academy graduates and self-taught specialists to start earning an income right away. 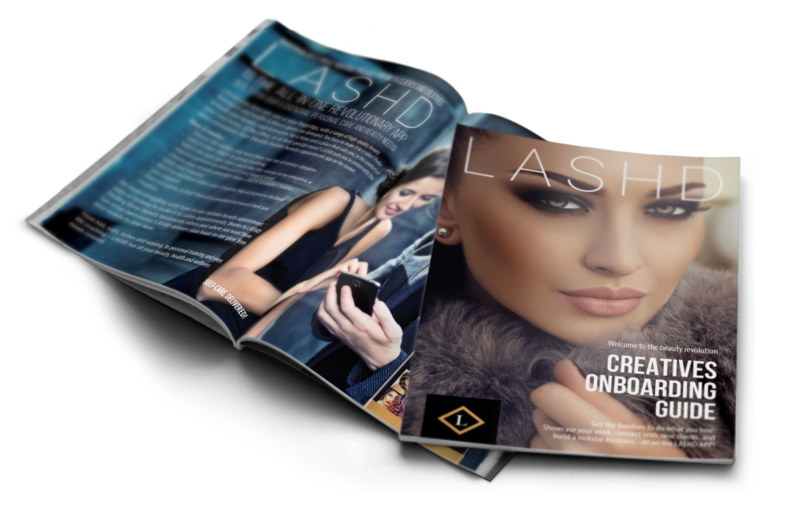 With no setup or joining fees, Lashd is helping creatives to break into the market without breaking the bank. The app makes communicating with clients and responding to requests simple and fast, with real-time notifications and updates. The Lashd app helps creatives to win clients and book jobs all in one convenient location. No need to worry about setting up an expensive website, incorporating an online booking platform or worrying about missing emails and calls for bookings. Lashd offers complete control and personalisation of the app for service providers. Creatives can not only set their location and the distance they’re willing to travel, but also log on and off based on their availability. In the same vein as revolutionary ride sharing apps like Uber and service-based apps like Airtasker, Lashd lets the user control when and where they work.